Reduce the cost of Health and Safety compliance. Provide peace of mind, enabling companies to focus on their core business. Ensure Health and Safety compliance that is proportionate, cost effective and relevant to the working environment. 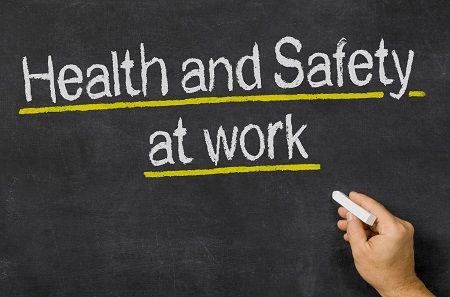 Provide and maintain a safe and healthy working environment. Our services, which range from bespoke Health and Safety training through to acting as your competent person or providing a fully outsourced Health and Safety Service, are customised to the business and organisational requirements of our clients. Employers have a legal duty under the Management of Health and Safety at Work Regulations 1999 to put in place suitable arrangements to manage health and safety as advised by the Health and Safety Executive (HSG 65 Successful Health and Safety Management). Our Health and Safety Audit helps ensure that effective arrangements are in place. The Audit structure is based on the principles of HSE guidance and BS OHSAS 18001 (Occupational health and safety management systems – Requirements). Blue Square Safety recognises the business and workplace benefits of adopting a wide ranging approach to Health and Safety Management and Business Risk Management. Our policies and procedures are developed taking this into account. Looking for potential hazards and managing risks to health and safety is essential in ensuring a safe working environment. Risk assessment is a key component of all health and safety requirements and standards. We can assist you in carrying out risk assessments in your workplace which are proportionate to the type of activities that you carry out. Due to the common use of Display Screen Equipment (DSE) there is a risk that you may miss the hazards they can present. The hazards associated with DSE work mainly relate to musculoskeletal issues, visual fatigue and stress. It is essential that employers fulfil their legal obligations, understand the implications of DSE hazards and manage the way they introduce and use computer workstations. We can offer flexibility in the way that DSE assessments are undertaken by using different methodologies to best suit our clients. The investigation and analysis of work-related accidents and incidents forms an essential part of managing health and safety. However, learning the lessons from what you uncover is at the heart of preventing future accidents and incidents. Blue Square Safety will help you to adopt a thorough approach to determining why an accident or incident has occurred and the steps you need to take to make sure it does not happen again. If a serious workplace accident or near miss occurs, we can provide assistance on site and liaise with enforcement authorities if required. We can also help with the completion of Reporting of Injuries, Diseases and Dangerour Occurrences Regulations reports (RIDDOR). Blue Square Safety offers a cost effective, high quality, affordable outsourced service, giving our clients the opportunity to get more for less. Many Facilities Managers, Human Resource Managers, Office Managers and owners of businesses have found by partnering with our Health and Safety Consultants we are able to save them costs associated with compliance. As part of the outsourced solution we can partner with you if your business is involved in tender submissions. By doing so your company will have “peace of mind” that the health and safety information submitted is 100% correct. Ultimately, Blue Square Safety’s Health and Safety professionals could help your business to win new contracts and increase client retention. Our Health and Safety Consultants can act as your “competent” health and safety person fulfilling the requirement of Regulation 7 of the Management of Health and Safety at Work Regulations 1999. To achieve this we would need to acquire a comprehensive understanding of your business. Blue Square Safety has many years’ experience in providing Health and Safety information to organisations as part of the tender process. We can give you a valuable advantage, helping you to win contracts. As part of our outsourcing service we can include a Health and Safety Annual Report. We would discuss with you how the report would be compiled and can present to the Board of Directors, Senior Management, Stakeholders, Shareholders and others if required. The report will clearly state performance against pre-determined key performance indicators over the previous 12 months, or a shorter time period if required.